Pacific Airmotive Corp (pres: John W Myers), Burbank CA. Nomad Mk I, Mk II 1958 = Conversion of surplus North American T-28 to a general-purpose plane. Mk I had 1300hp Wright R-1820-56S; Mk II had 1425hp R-1820-76A; both had three-bladed props; (data for Mk II) span: 40'1" length: 32'0" load: 1401# v: 381/203/83 range: 1,180 ceiling: 36,480'. POP: unknown. Tradewind 1962 = Custom conversion of Beech D-18S/C-45 to 5-11p executive transport. Two 450hp P&W R-985-AN-4; span: 47'3" length: 37'9" load: 2200# v: 240/219/78 range: 1110-2000 ceiling: 17,000'. Wide windshield, tricycle gear, redesigned nose and wingtips, added tanks, deluxe interiors. POP: unknown. 1925: Pacer Aircraft Co, Perth Amboy NJ. 1928: New Pacer Aircraft Corp, Main & Grant, Fords NJ. 1925 = 2pChwM; 90hp Anzani; span: 36'0" length: 23'9" load: 570# v: 90/75/30. Frank R Seesock. Seen as New Pacer after 1928. 1929 = 4pOhwM; 150hp Hisso A; span: 36'6" length: 22'9" load: 1200# v: 138/110/42 range: 750. Frank R Seesock. Two side-by-side cockpits. Carried 1491# in one test with a 1000-fpm rate of climb. POP: unknown, [X1928, et al]; one with 200hp Wright J-5 (v: 147/120/42) [NR786Y] c/n 2 in 1930; another as [X749Y] c/n 101, with 300hp Wright in 1932 (odd sequence of c/ns is unexplained). Special 1928 = Type unknown; 225hp Wright J-5. [X7269] c/n 6. Pacific Airplane & Supply Co, Venice CA (John Rogers at al). Hawk 1920 = 6pO/CB; two 90hp Curtiss OX-5; span: 52'0" length: 32'0" (?>29'0") load: 1320# v: 82/x/45 range: c.440; ff: 9/x/20 (p: Frank Clarke). Otto Timm. Huge transport, christened The Skylark, was repowered with 200hp Hall-Scott L-6 when the "Oh-by-Five" motors proved insufficient for the task. Last seen at Clover Field, Santa Monica, in 1923. 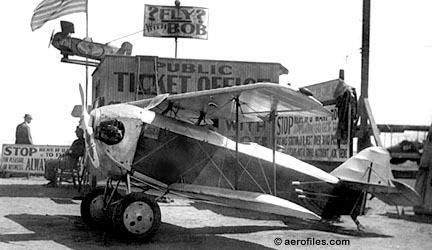 Some references to it being also called "Arrow" seem to stem from an ad shown in Dave Hatfield's "Los Angeles Aeronautics" for an Air Rodeo at Glendale Airport, 3/17/23, which mentions an 8p Arrow transport built by (John) Rogers Construction (dba Pacific)SEE Airline Arrow. 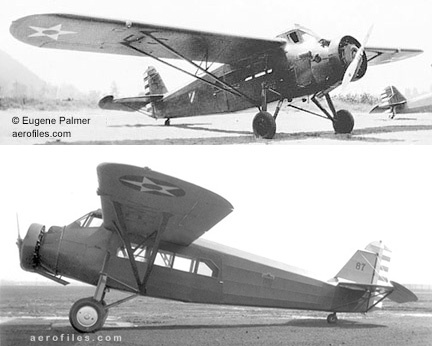 -Standard C-1 aka Rogers C-1 1921 = 1pOmwM; 90hp Curtiss OX-5; span: 23'3" length: 19'6". Otto Timm; built by (John W) Rogers Aircraft Co. Unrecognizable as being modified from a Standard J-1, flown by Emory Rogers until a fatal crash on 11/27/22. Won 1921 Curtiss Cup race (v: 137.41). Pacific Aeronautical Industries (mgr: William S Wilson, sales mgr: E H Brawner), 3135 Broderick St and 1480 Bush St, San Francisco CA. A 1930 = 2pOB; 60-90hp Velie or 60hp LeBlond 5D; span: 27'0" length: 20'0" v: 120/x/26. Jeff Bauer (unverified), also seen listed as Brawner-Bauer. Planned for forestry service work. Extreme stagger, gap was 44"; all-tube controls. Constructed at San Francisco Bay Airdrome in Alameda. POP: 1 [X501E] c/n 100. Reg cancelled 12/8/30. A 1948 = 1pClwM; 85hp Continental C-85. Midget racer Miss Nashville (p: Al Bennyworth] [NX66311]; fastest race 139.53 mph (1948). Built by Garland & Associates. Dismantled c.1949, parts used in subsequent racers. B 1948 = 1pClwM; 85hp Continental C-85; span: 13'0" length: 16'0". Midget racer Rebel Raider, destroyed on a test flight (p: Garland Pack uninjured) [N97M]. C 1948 = 1pClwM; 85hp Continental C-85; span: 16'0" (?>17'2") length: 16'10" v (race avg): 191. Midget racer Li'l Rebel (p: Jimmy Wilson] [N66317]. Rebuilt as Wilson Li'l Rebel after being damaged. D 1950 = 1pClwM; 85hp Continental C-85; span: 14'8" length: 17'0" v: x/175/x. Midget racer Stars & Bars aka Johnny Reb (p: Joe Magnano, Al Bennyworth) [N66319]; damaged in mid-air collision during 1950 race and rebuilt. E 1959 = 1pClwM; 85hp Continental C-85; span: 13'0" length: 16'0" v (fastest race): 188. Midget racer Grey Ghost, alias Little A-Go-Go, alias Little Bit [N211P]. Raced 1959-69. Packard Motor Car Co, Detroit MI. 1919 and 1920 ultralights ascribed to Packard Co were in fact designed by Etienne Dormoy and built as off-hours experiments by Dormoy (qv) and his friends while employed there. A (1-A) 1919 = 2pOB; 160hp Packard 8; load: 647# v: 102 ceiling: 19,500'. Packard's entry, featuring a self-starter, was planned for a civil market that failed to develop; POP: 1  c/n 1. A 2pOB with 200hp Packard-Liberty 8 found in the registers might be this ship, but it was not specified as actually a Packard Co product  use of a Packard engine certainly hints at it. The registry shows several private owners in Mt Clemens and Saginaw but no other data. -LePere LUSAC-21 (McCook Field Engr Div) 1919 = LUSAC-11 refitted with 420hp Bugatti 16; length: 27'1". Gross wt: 4485#. POP: 1 prototype [AS40023]. -LePere LUSAC-25 1919 = Unrecorded development of LUSAC-11. POP: 5 known [AS40025/40029]. Packard Aircraft Co, Enid OK.
Victor W Pagé (nee: Pager) & Oliver Light, Farmingdale NY. 1909 = 1pOB; two-cycle Light rotary. 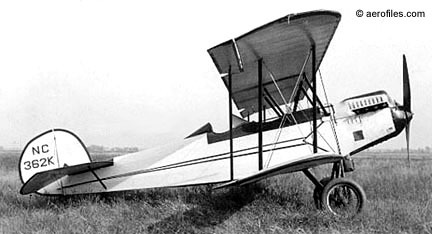 Essentially a Blériot XII rebuilt with a biplane wing and interplane ailerons, designed by the founder of Pagé aviation mechanic training schools, and author of several popular technical aviation books c.1918-35. Texan 1957 = 1pChwM; 65hp Continental A-65-8; span: 24'0" length: 17'9" load: 158# v: 115/95/50. [N2747A]. (Harry A) Palmer Motor Co, Boston MA. c.1931 = M; 80hp Palmer; span: 40'0". Henry Hunt. Built by Hunt for use as a test bed for the Palmer motor, and apparently bought by him. [802N] c/n 1. SEE ALSO Hunt (Fiskeville RI) as an alliance that has yet to be figured out. 1929: Pan-American Corp (fdr: Joe Palmer), San Antonio TX (found info, unsubstantiated). 1929: Southwestern Engr & Mapping Co, Mexia TX. 1929 = 3p unknown type; three Velies. Joe Palmer. $6,000. Possibly never built. P-3 1929 = Monoplane with 80hp Velie M-5. [X/NC69N]. Any relation to the Boston Palmer is also unknown, but possible. John M Jarratt finds no reference to Pan-American Corp.
1910 = Newpaper reports describe this as an "auto-plane" with folding wings, perhaps the first of its type. Two 35hp Adams-Farwell rotary motors geared together so that "if one stops, the other keeps the propeller moving while the first acts as a flywheel." The two motors also revolved in opposite directions to neutralize the gyroscopic effectquite an innovation, considering the year. Reports failed to mention if it ever flew, and no pictorial matter was uncovered to provide a better description. Palomino Aircraft Associates aka San Antonio Avn, San Antonio TX. 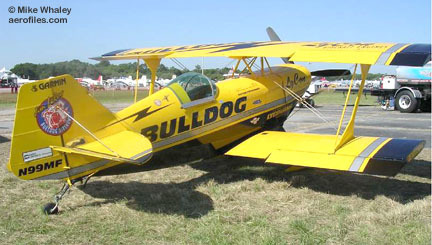 c.1962 = 1pClwM; 125hp Lycoming O-290. [N40J]. c.1965 = 2pClwM; 150hp Avco Lycoming O-320; span: 28'2" length: 20'7" load: 710# v: x/167/70 range: 575. [N40J]. Rebuild of the 1962 single-seater. Marketing of this handsome, all-metal tandem-seater was moderately successful. Pan-American Corp, San Antonio TX. 1929 = 3p tri-motor with Velie engines. Joe Palmer. A mystery ship, if it even existed. This info was found in some reference, but could be confusion with Palmer in Mexia TX (qv) and begs further investigation. Bruce H & Chris J Panzl, Livonia MI. PAN 1987 = 2pCB; Franklin 6V-335. EAA Champion Custom-Plans Built award in 1990. POP: 1 [N11ZL] c/n ZL-1. Special 1950 = 1pClwM; 85hp Continental C-85 pusher; span: 20'0" length: 20'0". George Owl. Variable-incidence wing. Midget racer Mixmaster with Y-tail and aft-mounted prop [N90522]. After unsuccessful competitions, it was rebuilt in 1952 as Trefethan TRW Special. 1928: Paramount Aircraft Corp (fdr: Joseph E Behse, Walter J Carr), Saginaw MI. 1932: Ended operations. Cabinaire 110 1929 (ATC 2-164, 2-165) = 4pCB; 110hp Warner Scarab; span: (upper) 34'8" (lower) 29'0" length: 23'9" load: 908# v: 103/90/38 range: 465 ceiling: 12,000'. Walter Carr. $6,750; POP: 7 [NC17M, NC387, NC587, NC551V, NC7930/7931]; prototype [X4254] c/n 2, used many Travel Air parts; cabane-mounted upper wing. No records or registration were found for c/n 1, but it is generally assumed to have been rebuilt from a Travel Air. [NC587] c/n 6 repowered with 150hp Hisso in 1936. (2-164) and (2-165) were 4p and 3p approvals respectively. Cabinaire 165 1930 (ATC 265) = 4pCB; 165hp Wright J-6; length: 24'7" load: 1054# v: 120/105/40. $7,500, $5,750 in 1931; POP: 1 [NC17M] c/n 7, modified from Cabinaire 110. Cabinaire A-70 1930 (ATC 2-233) = 4pCB; 165hp Continental A-70 and data similar to 165. POP: 1, modified from Cabinaire 110 [NC551V] c/n 9. Sportster 1931 = 2pOlwM; 110hp Warner Scarab; span: 29'0" length: 22'0". Ralph Johnson. Side-by-side cockpit; looked like long-wing Kinner Sportster. $4,985; POP: 1 [495K]; ff: 4/10/31 (p: Stanley Hammond). As a floatplane, it crashed on 5/16/31, killing Behse and ending Paramount Corp.
Parisano Aerial Navigation Co, 320 West 42 St, New York NY. Paraplane 1916 = 2pO special*; two rotaries in tandem. *A genuine oddity with a winged, parafoil-type arrangement over a framework fuselage on a four-wheel cart. From Sep 1915 ad: "These machines are standard in every respect, and of extra strong constructon, designed to meet the severest military requirementscan be be supplied with changeble angle of incidence wings. Speed range, 40 to 85 miles per hour. Climb with full military load 600 feet pr minute." A descriptive "Armored Military Tractor Biplanes" suggests a much different design than shown, likely a biplane, and "these machines" indicates ambitious production plans. Wilford Parker, Utah Aviation Co (aka Utah Aviation Assn), Grantsville UT. 1911 = 1pOB; 60hp Emerson; span: 14'0". Built from what materials were on hand or found locally, it sported a landing gear of four motorcycle wheels, plain galvanized wire helping to brace its structure, and some gas pipe for parts of its frame. Quite ahead of its time, however, was Parker's smoke chamber, with hand-operated bellows, built to study airflow across model wings. After incorporation with a couple dozen townsfolks, completion of the airplane mid-year, and a shaky maiden flight to 20' high and 1,500' in length (during which Parker also hurriedly learned to fly) followed by a crash-landing, an exhibition tour was planned. Those plans were cut short when a second flight also ended in a crash with more severe damage. With funds running low and no signs of any income on the horizon, and the reluctance of the plane to leave the ground in further modifications and attempts over three more years, the company was dissolved in 1914. Yet Parker is credited by many as the first to fly in Utah, which is contested by supporters of Lagar Culver (qv) for the honors. William D "Billy" Parker, Ft Collins CO and San Diecgo CA. Pusher 1912-1914 = Manufacturer of personal and exhibition biplanes, stressed for competition and aerobatics; principal power was 50-80hp LeRhône rotary. [NX62E] was a personal plane flown by Parker during his years as sales representative for Phillips Petroleum Co (later manager of Aviation Dept); was active into the 1960s. Rebuilt and upgraded many times over the years; mid-wing ailerons were replaced by trailing-edge ailerons. Parker had other pushers along the way for exhibition flying, as well [NR8Y (90hp OX-5), N66V, N4161K (80hp LeRhône)]. The latter was the most recent addition (c.1955), registered as Parker-Curtiss, with a rebuilt 90hp Curtiss OX-5. 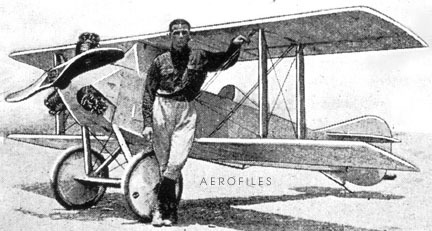 While the Curtiss name is often attached to Parker's products, and he admitted to initial design influence to some degree, he was in fact quite vocal about his planes being his own creations, noting that anyone serious about doing "loops and fancy flying" [his terms] in the 'teems would never use a Curtiss pusher because of the weakness of its "bamboo outriggers and other frail parts." Parker was still flying two of his originals in the '50s and '60s on tours for Phillips. 1921: (Fred) Parker Aircraft Co, Perry IA. 1921 = 3pOB advertised as being constructed, as well as newspaper articles, but no data were found except that Parker left town that year apparently without building any plane. (Willard) Parker Aircraft Corp, Cleveland OH. Pal 1929 = 2pOB; 65hp LeBlond. c/n T-3. Calvin Y "Cal" Parker, Chicago IL. Jeanie's Teenie 196? = 1pOlwM: 36hp Volkswagen; span: 18'4" length: 12'8" load: 250# v: 110/90/x. POP: 1 prototype; several thousand sets of plans reportedly sold to home-builders. Teenie Two, Double Teenie 1969 = 1pOlwM; 40hp Volkswagen; span: 18'0" length: 12'10" load: 280# v: 120/95/x range: 400. Improved version of Jeanie's Teenie. Plans and component kits were available. Double Teenie was 2p version. Tin Wind 1962 = 2pCmwM; 125hp Lycoming O-290G; span: 21'0" length: 18'0" load: 600# v: 180/160/55. All componenets made from flat alumninum stock; cost for prototype was about $500, less motor. Marketed plans for home-builders. [N348L]. (W D "Billy") Parker-(A B) Riggs Airplane Co, Bartlesville OK.
1928 = Unknown type. Designed specifically for oilfield operations. 1929: (Oliver L) Parks Aircraft Div, Parks Air Lines Inc/Parks Air College, East St Louis IL. 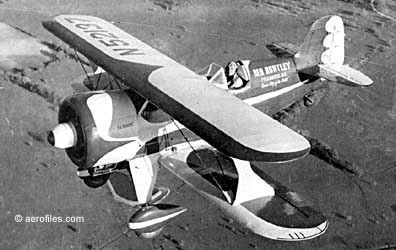 1929: Div of Detroit Aircraft Corp. 1932: Ended operations, production moved to Ryan Co, St Louis MO; designs sold to Dean Hammond, Ypsilanti MI. 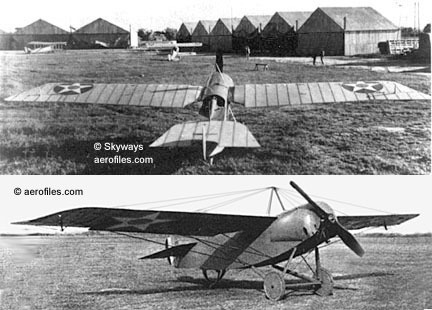 P-1 1929 (ATC 179) = 2-3pOB; 90hp Curtiss OX-5; span: 30'1" length: 24'1" load: 812# v: 100/85/37 range: 340. 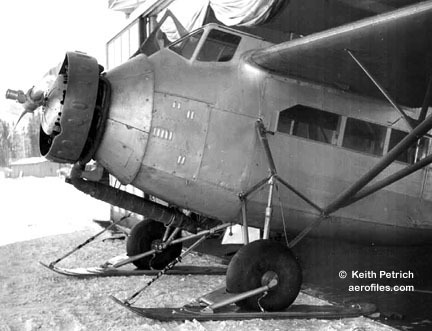 A duplicate of Fairchild KR-31, but with a chin radiator. Built to replace Travel Airs used at the subsidiary Parks Air College. $3,165; POP: 45; prototype . [X289W] used to test the feasibility of a large, built-in "planechute" that could be released in emergencies to float the aircraft to the ground. Photos show it in operation, with apparent success, but results of testing is unknown. 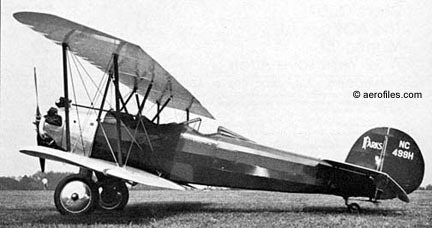 P-1H 1932 (ATC 2-428) = 100hp Kinner K-5. Became Hammond 100. P-1T 1929 (ATC 2-506) = 115hp Milwaukee Tank. 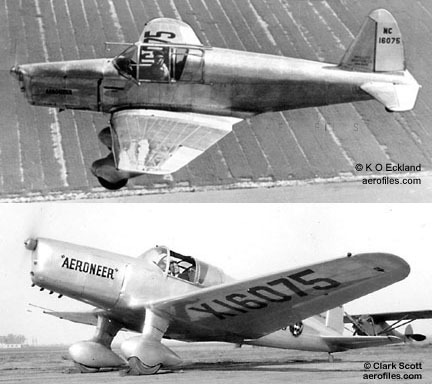 P-1X 1930 = 3pOB; 90hp Curtiss OX-5, as Detroit P-1-X [289W] c/n 19911. P-2 1929 (ATC 200, 2-99) = 3pOB; 150hp Axelson-Floco; span: 30'0" length: 22'10" load: 860# v: 115/98/42 range: 490. $6,000; POP: 6 [C902K, C965K, et al]. Repowered as P-2A. Also available with 130hp Comet. (2-99) superseded by (200) [C8487 et al]. P-2A 1929 (ATC 276) = 165hp Wright J-6; span: 30'0" length: 23'0" load: 897# v: 120/100/45 range: 500. $6,350; POP: 11 [NC480M, NC499H, NC502N, NC902K, NC965K, NC8487, NC8490/8492, NC967K/968K]; marketed as Detroit-Parks P-2A after merger with Detroit Corp and, later, as Ryan Speedster. P-3 Arrow 1929 = 4pChwM; 220hp Wright J-5; span: 45'0" length: 34'6" v: 100. [X8385]. 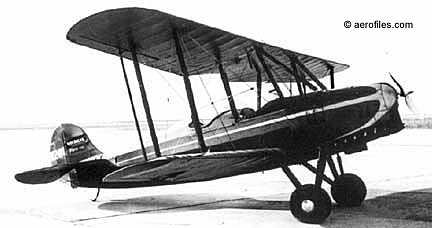 P-4 1929 = 6pChwM; 300hp Wright R-975. [X8384]. P-1, P-2 1947 = 1pOlwM; 65hp Continental C-65. POP: 2 midget racers [N2E, Nx], the first of whose registration was transferred, after it disappeared c.1967 over the Gulf of Mexico, to Parks P-3. There is registration confusion in [N2E], which appears in 1948 as midget racer Sheldon (or Johnson) Special, as well as in model numbers similar to those of Parks Aircraft Co.
P-3 1963 = OB with 125hp Lycoming; span: 19'0" load: 263# v: 135/125/55. POP: 1 [N2E], reg transferred from P-2. Philip O Parmelee, Matherson MI. Harry Parso, San Jose CA. Solo Sport 1933 = 1pOhwM; 65hp Lambert; span: 27'0" length: 17'11" v: 120/100/50. Originally had 60hp Velie. . One other appears as Cardoza-Parso PC-1  c/n 1, which might be Mr Cardoza's home-made version, but details were not found. Rodney Jocelyn & Lindsey Parsons, Ambler PA.
D-295 1974 = Unequal-span variant of PJ-260 with 295hp Lycoming GO-480-G1D6; span: (upper) 27'0" (lower) 23'9". Built for E Mahler & L Webber. PJ-260 1960 = 1pOB; 260hp Lycoming GO-435-C2; span: 27'0" length: 21'0" load: 700# v: 170/138/52 range: 500 ceiling: 24,000'; ff: 7/28/60. Nicholas D'Apuzzo. POP: 1 prototype [N40304] designed and built at the request of Jocelyn as an exhibition aircraft for world champion aerobatic pilot Parsons at competitions in Spain, and reportedly 7 amateur-built planes up to Feb 1974. Also seen recorded as Joc-Par. (Elmer) Partridge-(Henry S) "Pop" Keller, P&K Flying School, Cicero IL. 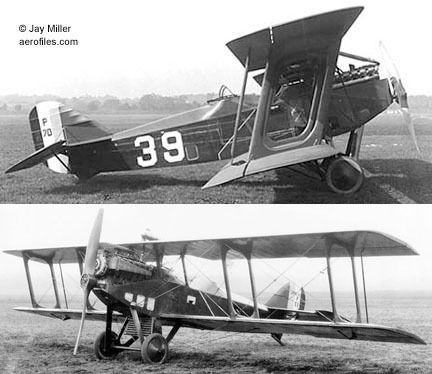 Besides these recorded individual creations, the P&K were responsible for many conversions and modifications of surplus WW1 aircraft registered with civil numbers. 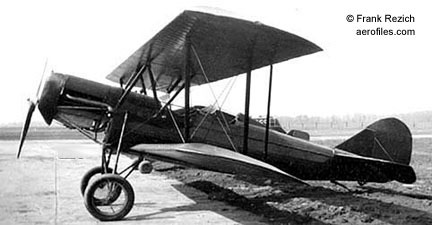 #1 1913 = 1pOB; 60hp Kirkham, built for sportsman-pilot Joseph Best as the team's first effort. 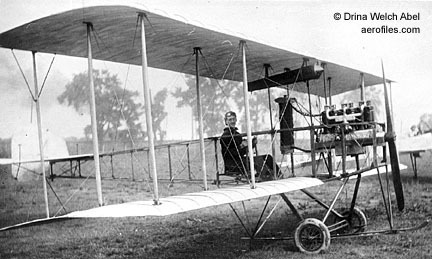 Featured Wright two-stick controls and wing-warping. Bi-Plane aka "Looper" 1914 = 2pOB; 80hp Gnôme rotary, later 80hp Smith 6-cylinder radial. Uncovered fuselage at first, later covered with fabric. Specially built for Katherine Stinson for her exhibition flights in North American and the Orient. Tractor Trainer 1913 = 2pOB; 80hp Smith radial. Paul & Ted Paschke, Hancock MN. 1928 = 1pOhwM; 90hp Curtiss OX-5. A first-effort, looking like a large Pietenpol (which this design predated by five years), flew well for 15 hours, then was damaged beyond repair when it hit a vagrant pig during a landing. Pasped Aircraft Co (fdrs: Fred Pastorius, Stanley Pederson), Glendale CA. 1941: Acquired by Skylark Mfg Co, Venice CA. W-1 Skylark 1935 (ATC 2-546) = 2pO-ClwM; 125hp Warner Scarab; span: 35'11" length: 25'0" load: 597# v: 139/125/35 range: 475. Fred Pastorius, Stanley Pederson. $4,485; POP: 1 [X/NC14919] c/n 1. Full-panted gear; side-by-side cockpit with optional enclosure. Later approved for 145-165hp Warners. 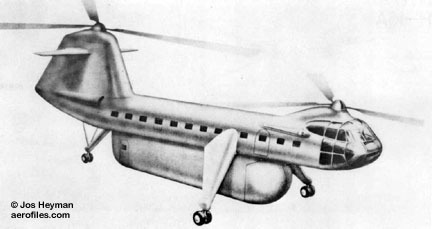 Design continued post-war as Skylark Skycraft. Explorer 196? = 2pChwM; 200hp Lycoming; v: 130/115/x. Pylon-mounted engine; shoulder wings. POP: 1 [N1EX]. Registration was assumed by a 1982 Skybolt home-built, so the trail of the Patchen ends there. (Charles) Patterson & (Roy N) Francis Aviation Co, San Francisco CA. Flying Boat 1913 = 2pOBF; tractor with twin propellers. Competed in 1913 Great Lakes Reliability tour, but was forced out by high winds. SEE ALSO Andermat. Twin-Tractor 1913 = 2pOB; Hall-Scott V-8 with two chain-driven props, a developed version of the 1912 Fowler-Gage (SEE Gage). 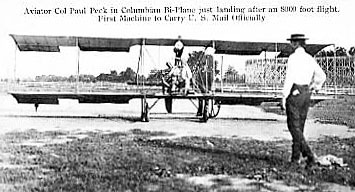 Plane's components were designed and built in San Francisco by Francis, then shipped to Cicero IL for assembly. It crashed on its test flight and disappeared soon afterwards, either stolen or vandalized. W Luther Paul, Davis NC. 1907 = OH; four 3hp motorcycle engines. Empty wt: 500#. Two rotors in tandem and a tractor propeller. The helicopter was tested in a large barn, where it was reported to have reached a height of about 4 feet. Rudy & Louis Paulic, Oakland, Burbank, and Gardena CA. XT3-B, T-3B-1 1939 = 2pClwM; 125hp Warner Scarab; span: 33'0" length: 23'6" load: 1060# v: 144/122/58. John Thorp, Rudy Paulic. Side-by-side trainer planned for Boeing School of Aeronautics in Oakland, where both Paulic and Thorp worked [NX21726]. Dismantled after several test flights and stored until 1959, when it was redesigned and rebuilt by Paulic as 4p retractable-gear T-3B-1 with 190hp Lycoming O-435 and reregistered [NX6497C]. T-4 - Design study, never built. Aeronef aka Gold Bug 1910 = 1pOB. No other data. Vernon W Payne, Chicago IL; 1938: Payne Aircraft Corp, Joliet and Cicero IL. Knight Twister SEE separate listing under K entries. MC-7 Pusher 1935 = 2pOlwM; 40hp Continental A-40 or 47hp Franklin pusher; span: 33'6" v: x/82/x. Twin-boom, twin-tail experiment by the designer of Knight Twister. Side-by-side cockpit; pod-mounted motor. [NX18238]. (Ladislao) Pazmany Aircraft Corporation, San Diego CA. PL-1 Laminar 1962 = 2pClwM; 95hp Continental C90-12F; span: 28'0" length: 18'11" load: 525# v: 120/115/53 range: 600 ceiling: 18,000'. Some 5,000 design hours went into this ambitious project, intended for home-builders. Full plans were sold for $75, and in the end 375 sets had been sold. One of them went to Taiwan AF, where 58 were subsequently built as PL-1B basic trainers with 150hp Lycoming O-320 engines. PL-2 1969 = 2pClwM; 108-150hp Lycoming O-320; span: 28'0" length: 19'4" load: 545# v: 144/132/52 range: 485 (data for 125hp version). Externally almost identical to PL-1, the internal structure was extensively changed to simplify construction and reduce weight. POP: unknown, but 276 sets of plans had been sold by early 1975. 50 similar LT-200 were built in Indonesia. PL-4A 1972 = 1pClwM; 50hp Volkswagen 1600cc; span: 26'8" length: 16'6" (?>16'2") load: 270# v: 125/98/46 range: 340. POP: 500 sets of home-builder plans sold by 1976. Kits were available from commercial sources. (C R "Bud") Pearson-(Leland) Williams, Venice CA. PW-1 1938 = 1pCmwM; 825hp Curtiss Conqueror V-12; span: 24'0" length: 26'0". Rod Nimmo. Racer for the Nationals Mr Smoothie (p: Lee Williams) [NX94Y]. Originally had retracting gear that was wired down after its mechanism was damaged in shipment to Cleveland by railroad boxcar. George T Peay Jr, Provo UT. 1910 = Using principles earned from studying maple tree seedcases using their two rotating wings, Peay built a working model of a plane with rotating blades, somewhat like an autogiro, that permitted steep descents and slow, short landings, then applied for a patent for his invention. Reportedly, some men appeared at the Peay residence to discuss his findings, claiming that they were government representatives from WDC. Peay let them take his model with them for study, and never heard from them again. Attempts to find out what had happened to his model proved fruitless, and Peay abandoned further aviation research. Paul Peck, College Park MD. In American Air Mail Catalogue, Vol 1, 6th Edition, Entry 3: Sep 23-Oct 1, 1911, Garden City-Mineola, NY, International Aviation Tournament. The first official US airmail was flown during the (event) at the Aerodrome on Nassau Boulevard in Garden City. Postmaster General Frank H Hitchcock authorized mail to be flown and Earle L Ovington was sworn in as the first official airmail pilot. T O M Sopwith and Capt Paul W Peck also flew mail during the meet. Ovington flew mail on the first day, and most covers and cards received a circular "Aeroplane Station #1" postmark and a 3-word ("Aerial Special Despatch") cachet. Covers were postmarked during each day of the meet, but no mail was flown on Sep 29 or Oct 1 due to poor weather conditions. A total of 43,247 pieces of mail was serviced during the meet. 1985: (Glenn) Peck Aeroplane Restoration, Maryland Hgts MO. de Havilland DH-4M2A 2006 = Atlantic-Fokker DH-4 is the result of three years' work by Peck and crew, including a complete rebuild of a Ford-Liberty 12, and is most likely the only one in the world flyingit last flew for film Spirit of St Louis. Finished for owner Al Stix in Robertson Airlines colors as CAM 2 mailplane; ff: 9/29/06 (p: Peck). [C3360]. Zenith Z-6A = One of only five built, and the last one remaining, this 1929 rarity was revived from a derelict cropduster [NC392V]. Additionally 7 other planes known to have been rebuilt and restored were Aeronca K, Boeing 40B, Curtiss JN-4C, Curtiss Robin, Piper J-3 Cub, Piper Vagabond, and a Porterfield, which was the start of them all. Garland Peed Jr & Florence Patrica Kelley Peed, Santa Monica CA. 192? = 1pOB. Data still needed. Peekskill Hydro-Aeroplane Co, Peekskill NY. Pegasus Aircraft Mfg Co (Anthony A Guarniere & Jack Harris), Maple Heights OH. 1931 = 2pOhwM; 60hp LeBlond. c/n 1A1, crashed and reg cancelled 10/18/32. John H Pennington, Baltimore MD, and James Jackson Pennington (1819-1884), Henryville TN. Flying Machines 1836 and 1877 = Somewhat before our time span, but two Penningtons deserve mention as pioneer visionaries conducting experiments with powered flight long before before the Wright brothers and Count von Zeppelin. 1934: Pennsylvania Aircraft Syndicate Ltd (pres: E Burke WIlford), Philadelphia PA.
XOZ 1934 = 2pOlwAgF; 110hp Warner Scarab, later 125hp Kinner B-5 and 155hp R-5; four-blade rotor: 32'0" v: 107/90/0 range: 150. E B Wilford. A rare autogyro floatplane built from Consolidated (Fleet) XN2Y-2 parts. POP: 1 as XOZ-1 . Pensacola Metal Aircraft Co, Pensacola FL. 1930 = 4pFb; four 575hp P&W Hornet; span: 80'0". Walter Eade. All-metal. Peregrine Flight International, Minden NV. 1994 = Continuation of Bede BD-10 with GE J85 as a home-builder kit. A crash in testing killed the president of the company. Acquired by Fox Aircraft of Minden, but its president, too, was killed in a crash. In 1996 Monitor Jet Corp of Canada took over but, despite claim of 12 standing orders, no production was forthcoming. Next? SEE Vortex. George Pereira, Osprey Aircraft, Sacramento CA. GP-4 19?? = 2pClwM rg; Lycoming IO-360-A1A; span: 24'8" length: 21'6" load: 739# v: 240/x/65 range: 1100-1250. Wood construction; manual gear retraction. Marketed plans and kits to home-builders. Osprey II 1974 = 2pCmwMAm; 150hp Lycoming O-320 pusher; span: 26'0" length: 21'0" load: 590# v: 140/130/63. Wood construction; manually retracting tricycle gear. Marketed plans and kits to home-builders. Mechanics Illustrated design award. POP: 500+ reported built and flying by c.2000. X-28A Osprey I 1970 = 1pCmwMFb; pusher; ff: 8/12/70 (p: George Pereira). Experimental seaplane based on Osprey plans, for USN evaluation. POP: 1 [N3337=158786]. Donated to USMC museum 1972. Thomas O Perry, Chicago IL. Chicago Helicopters Ltd, Chicago IL. 1923 = 2pOH; 110hp LeRhone; rotors: 47'0" load: 1020#. Rotor blade chord: 4'0". Coaxial counter-rotating rotors, collective pitch control. A novel approach to power-off descent was usedwith a hand crank, the rotors could be moved to a position perpendicular to the direction of flight, transforming the helicopter into a sort-of biplane. A horizontal tail surface mounted on a boom was then used as elevator. 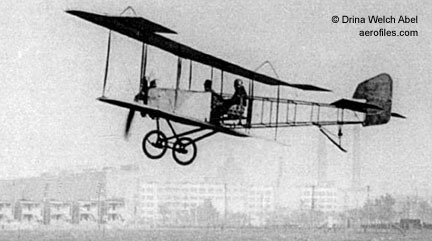 A prototype was built by Plamondon Mfg Co of Chicago and flight-tested at Lombard IL. Results were not publicized but apparently were unsatisfactory. W Parker Perry, R D #6, Trenton NJ. P-1 1929 = 5pMAm; one or two 85hp Packard. Although registered as  on 1/16/29, specs from Perry's application sound implausible: "... 14' long with 12' wingspan and one or two Packard engines, to accommodate a pilot and four passengers." What? No hot tub? CAA inquiries went unanswered and reg was cancelled 5/5/30. Probably never built or completed, certainly never flown with all seats occupied. 1929: (Alva A) Peters Aircraft Co, Salinas CA. c.1931: National Aircraft Builders Corp (NABA), 4053 Harlan St, Emeryville CA. AL-1 1929 = Unknown type; 40hp Ford A. [X845M]. Play Plane aka NABA Sportster 1932 (?>1936) = 1pOhwM; 28hp Lawrance. Aimed at the lightplane home-builder market. Parasol wing, short-coupled tricycle gear. $987, $1,185 for proposed 2p version; POP: 2 [X10682, X15511], unknown if any were built by others. Had 40hp Continental by 1938. Peterson Aerial Transportation & Defense Co, no location. David G Peterson, Tulsa OK.
Skyline Super-V 1957 = Twin conversion of Beechcraft Bonanza. 1pClwM; two 170hp Lycoming O-340; load: 1500# v: 230/200/43 range: 1300 ceiling: 11,000'. [N2811V]. Hi-Hopes 1960 = 1pOlwM; span: 20'0" length: 17'0" load: 350# v: 135/120/80 range: 360. [N5960V]. Lloyd H Peterson and Mark M Campbell, Los Angeles CA. 1932 = 2pOhwM; 100hp Kinner K-5. [X12273] c/n 1. Researched by John M Jarratt, who found in letters to CAA that owner Campbell had, on 1/2/33, requested its Experimental license be cancelled as being "not fit to be flown." Peterson later wrote CAA that he had no idea why the reg was cancelled. The two entered into a lawsuit, with the plane finally being sold 5/14/35 to a R L McCreery (no price stated) with conditions that it would never again be sold, would never have a stress analysis or plans made, would never be licensed, and the wing and fuselage would be destroyed and junked. McCleery notified CAA on 11/7/35 that it had, indeed, been salvaged. He had ostensibly bought only an enginea most curious transaction! CAA canceled reg on 11/7/35. Special 1948 = 1pCmwM; 85hp Continental pusher C-85 pusher. All-metal; tail-mounted propeller. Midget racer [N5715N]; never competed. 1936: Joe Pfeifer, St Louis MO. 19?? : Burbank CA. 1952: Porterville CA. c.1957: Industrial Aircraft Co, Santa Susana CA. 1963: Columbia CA. JL Sport aka Special 1956 = 2pOB; 190hp Lycoming O-435-C1; span: 28'0" length: 19'6" load: 730# v: 138/125/65. Rebuilt from a Fleet 2 [N63J]. Nieuport 11 and others = Pfeifer was noted for several exquisite flying replica WW1 aircraft, sportplanes, and his many restorations through the '50s and '60s. Sport 1936 = 2pOhwM; various motors from 50hp Ford B to 90hp Warner; ff: 5/6/36. [N15426] c/n J-4; crashed at Santa Susana CA 8/9/41 (p: John Toborg) and reg cancelled. Originally a reworked Pietenpol, a version of this plane was built by Pfeifer in 1975 with 110hp Corvair auto engine and higher parasol wing (span: 30'5"). Curtiss Aeroplane Co, Hammondsport NY. 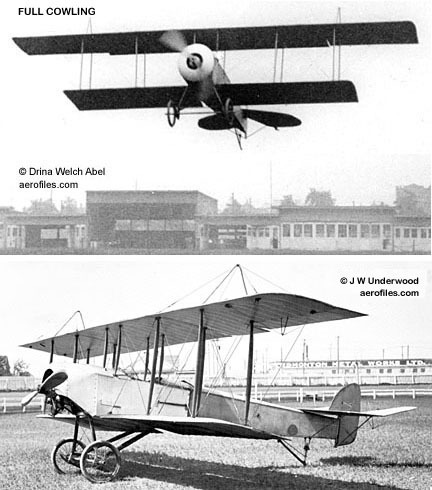 Monoplane 1910 = 1pOmwM; 25hp Curtiss pusher; span: 36'0" length: 30'0" load: 230# v: 42. Lt Alexander Pfitzner. Lateral control with sliding wing panels which increased lift on either side to cause turning action; quad landing gear. Phantom Knight Aircraft Co, Oak Park IL. 1928 = 3pOB; 90hp Curtiss OX-5. [X7927] c/n 1. A-150 1929 = 3pOB; Hisso; v: 105/90/30 range: 620. Gross wt: 2450#. c/n 2. 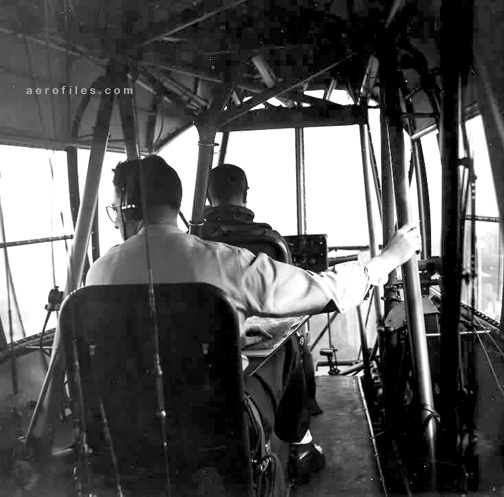 1927: Lee R Briggs Flying School, Memphis MO. 1928: Reorganized by Adolf/Andre Bechaud Co as Pheasant Aircraft Co, Fond du Lac WI. 1930: Absorbed by Dayton Aero & Engr Co.
H-10 1927 (ATC 36) = 3pOB; 90hp Curtiss OX-5; span: 32'4" (?>31'0") length: 23'6" load: 785# v: 100/85/35 range: 450-500. Lee Briggs, Orville Hickman. $2,375-2,650; POP: 11. Operations were sold and moved north in 1928 after Briggs was killed in a flying accident. For an interesting sidelight, SEE Manorplane. Traveler 1928 = 1pChwM; 55hp modified Ford A; span: 31'0" length: 23'6" v: 100/85/35. Cantilever gull-wing. POP: 3; prototype [X174N]. Lt D B Phillips, San Antonio TX. Alouette aka "The Fly" 1924 = 1pOB; 45hp Lawrance and 60hp Anzani; span: 18'0" v: 115 range: 500. Home-built by Phillips and members of the Air Service at Kelly Field TX. Robert J Phillips, Nutley NJ. 1930 = 1pOM; 18hp Hendee. No other data found. [932V]. Howard A Phillips, Newark OH. P-2 1936 = 1pOB; 45hp Szekely. 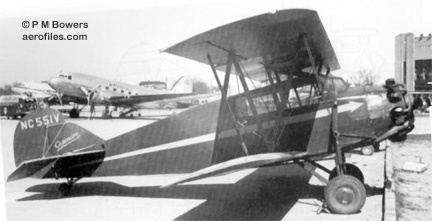 c/n BB-1. Play Boy 1932 = Unknown type with a 40hp Shebach (Maybach?) engine. c/n PS-2. Reg assigned 7/1/32, but when Phillips reported "not completed for financial reasons," it was cancelled 8/31/34. 1936: (James A) Phillips Aviation Co, South Pasadena & Van Nuys CA. 1940: Acquired rights from Aero Engineering Corp and Driggs (Western Airmotive), Long Beach CA. 1941: Rights to Skylark and D-333 motor sold to Ayers Aviation Corp, Reno NV. 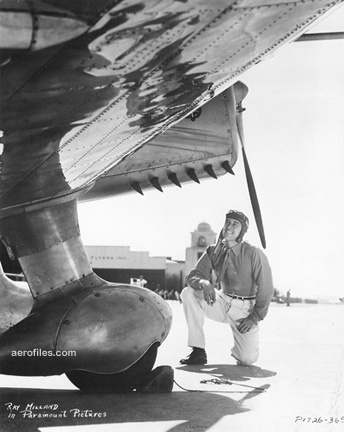 Phillips Aeroneer Actor Ray Milland spots it in a Burbank hangar during filming of "Men With Wings"
1-B Aeroneer, XPT 1936 (ATC 693) = 2pClwM; 125hp Menasco C-4; span: 32'6" (?>36'2") length: 24'0" load: 695# v: 140/130/49 range: 600. POP: 1 [NC16075]. Rebuilt 1939 with 145hp Ranger 6 (length: 23'6" load: 810# v: 150/130/46 range: 500) as XPT (Experimental Primary Trainer) in an attempt to get an USAAC contract [NX16075]. This failed, then MGM Studios reportedly bought it, as it has appeared in several films. 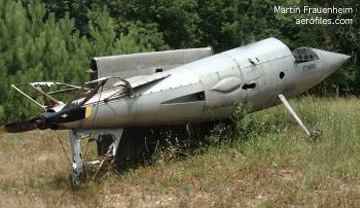 Said to be presently (2005) stored in a hangar in Arizona. FAA says registered owner is, or was, in Oklahoma City but "sale reported" (2007). CT-1 Skylark 1940 (ATC 731) = 2pO/CB; 95hp Menasco B-4; span: 28'3" length: 23'2" load: 586# v: 114/100/45 range: 340. Ivan Driggs. 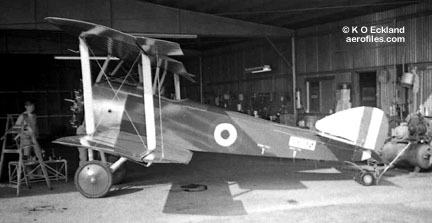 Optional 125hp C-4 and sliding cockpit canopy. Continuation of Driggs Skylark. POP: 2 or 3 [prototype NX18989 c/n 100]; 1 to Peru. CT-2 Skylark 1941 = 2pO/CB; 120hp Phillips-Martin D-333; span: 28'3" length: 23'3" load: 570# v: 124/115/45 range: 315. Optional sliding cockpit canopy. $2,500; POP: probably 1  c/n 101. Subsequent production after acquisition by Ayers is unknown. -Fleet 1942 (ATC 2-562) = Fleet 7 with 120hp Phillips-Martin 333. POP: 2 [NC64VA, NC637M]. Willard J Phinn, Chicago IL. Arrow B-7 1926 = 3pOB; 90hp Curtiss OX-5; span; 35'0" length: 23'0". Built for Phinn by R H Bloxham. Flew once, then was dismantled for unreported reasons. Phoenix Aircraft Corp (pres: Joseph Klaus), 601 25th St, Milwaukee WI. H-2 1927 = The nonesuch "Hess H-5" Bluebird trainer  c/n 36, bought by Klaus and reregistered in Phoenix's name; also seen as Phoenix-Milwaukee H-2. c.1928: Phoenix Aircraft Corp (Charles Roberts, Verle R Seed, Floyd M Stahl), Phoenix AZ. c.1929 = All-metal monoplane with Anzani. Apparently no connection to the previous entry. Archival info from Arizona Corporation Commission indicates formation of company about 1928-29. 1940: P-V Engineering Forum. c.1946: (Frank N) Piasecki Helicopter Corp, Morton PA. After F N Piasecki was forced out of his company in 1955, he founded Piasecki Aircraft Corp, and his original company became Vertol Aircraft Corp, which in turn became a division of Boeing Co in 1960. 16H Pathfinder = 5pClw hybrid aircraft. One main rotor on top; a ducted pusher prop in the tail with vertical vanes, deflecting the slipstream to counter torque. 16H-1 1962 = 550hp P&W-Canada PT6B-2 free turbine; rotor: 41'0" length: 25'0" load: 3089# v: 178/172/0 range: 610 ceiling: 11,500' (hover 6,200'); ff: 2/21/62. 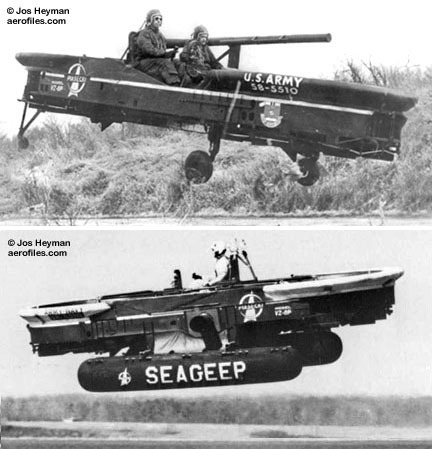 16H-1A 1965 = Joint Army-Navy research project, a modification of [N616H]. 1200hp General Electric T-58; rotor: 44'0", length: 37'3" v: 225/x/0. 16H-1C 19?? - 1500hp General Electric T-58-5; rotor: 44'8" load: 3375# v (est): 207/188/0 range (est): 450. Info found in Aviation, but this model was not mentioned in a factory brochure so might have been a speculative project. 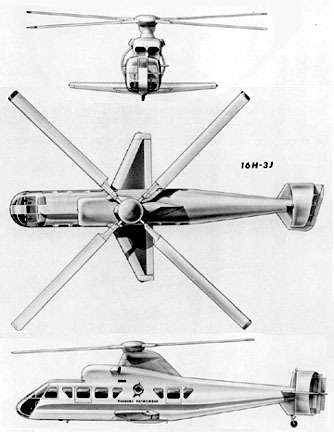 16H-3 1965 - Vectored Thrust Ducted Propeller (VTDP) compound helicopter proposal. H-16, R-16 Transporter 1953 = USAF long-range transport from PV-15. 42pCH; two 1650hp P&W R-2180; rotors: 82'0" length: 77'7" load: 15,615# v: 128/100/0 range: 210 ceiling: 18,000'; ff (as XH-16) 10/23/53. Tandem rotors. Capable of carrying 40 troops or three light trucks; adjustable landing gear accommodated exterior belly pod. Originally designated XR-16, redesignated as YH-16 in 1948. POP: 1 [50-1269], transferred to US Army. H-16A, -16B, XH-27 1955 = 49p with two 1800hp Allison YT38-A-10 turboshafts; load: 20,250# range: 216 ceiling: 15,600'. Repowered with 2100hp Allison T56-A-5 as YH-16B, conversion by Vertol Corp. POP: 1 [50-1270]. The designation H-16A was reserved for a production version. 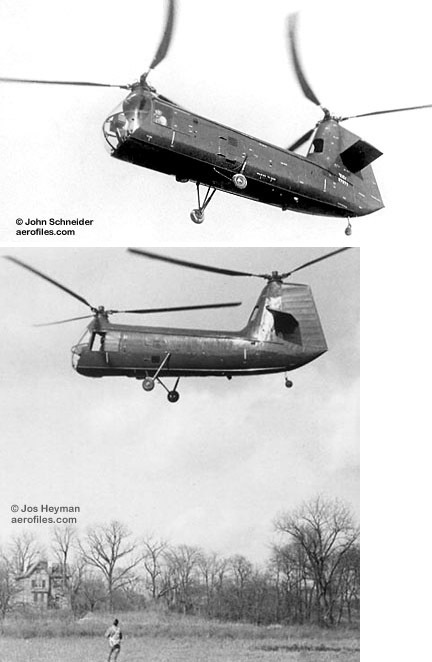 H-21 - Army and USAF "flying banana" CH; two tandem three-bladed rotors. Crew of 2 in side-by-side, dual-control cabin; hoist with dorsal quick-release cargo sling. Exports also to French Navy, RCAF, West Germany. YH-21, PD-22 1952 = 14 fully-equipped troops. 1150hp Wright R-1820-103; rotors: 44'6" length: 86'4" v: 131/110/0 ceiling: 15,000'; ff: 4/11/52. H-21A 195? = USAF Medevac for 12 litter patients. 1150hp Wright R-1820-103. POP: 38 to Arctic SAR units. H-21B 1959 = USAF. 1425hp Wright R-1820-107. 20 troops or 12 litters. POP: 163. H-21C Shawnee 1957 = Army cargo and personnel. External 4000# swinging-boom hoist. POP: 334. Set a closed-course distance record of 1,199 miles in Aug 1957 with extra fuel tanks, and a nonstop flight the same month from San Diego to Washington DC with aerial refueling. H-21D 19?? = Experimental H-21C with two GE T58 turboshafts. POP: 1. H-25 Army Mule 19?? 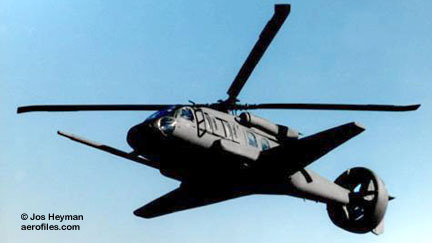 = Army version of HUP-2; 550hp Continental R-975-42; rotor: 35'0" length: 56'11" v: 105/x/0 range: 340. Hydraulic-boost controls, strengthened metal-clad floor with cargo tie-downs. POP: 70 as H-25A, of which 1 to USN as HUP-3 prototype [51-16641=149088]. H-27 - Interim designation for YH-16A. 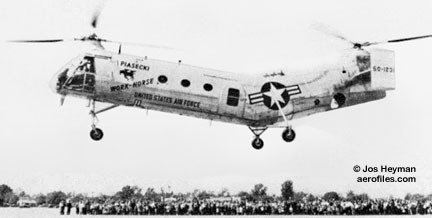 HJP, PV-14 1948 = USN. 5pCH; 550hp Continental R-975-34; rotor: 35'0" length: 31'10" v: 120/x/0. Tandem overlapping rotors. POP: 2 to USN as XHJP-1 [37976/37977]. Into production as HUP. HUP, PV-18, UH Retriever 195? 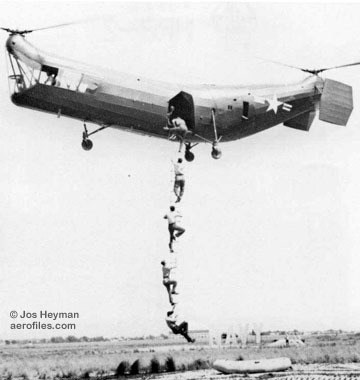 = USN tandem-rotor carrier-based utility. 5pCH; 550hp Continental R-975-34. Production version of HJP. POP: 27 (?>32) to USN as HUP-1 [124588/124594, 124915/124929, 126706/126715]. HUP-2, -2S 19?? = 550hp Continental R-975-42; rotor: 35'0" length: 56'11" v: 105/x/0 range: 340. Autopilot. POP: 339 [128479/128600, 129418/129522, 129978/130085, 134434/134437], of which some with radar as HUP-2S for anti-sub warfare. 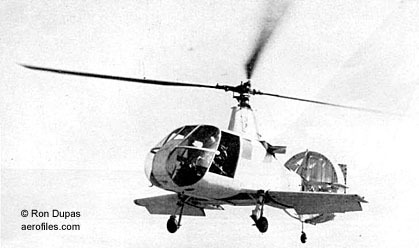 Redesignated as UH-25B in 1962. HUP-3 19?? = Medevac and light cargo. Reinforced deck and improved hydraulics system. POP: 50 [147582/147630, 149088], redesignated as UH-25C in 1962. The last one was former Army H-25A [51-16641]. HUP-4 195? 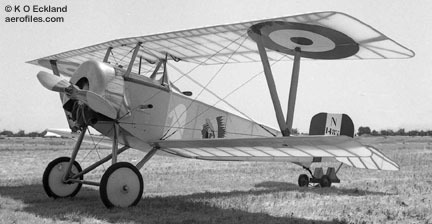 = HUP-2S with Wright R-1820. POP: 1 . 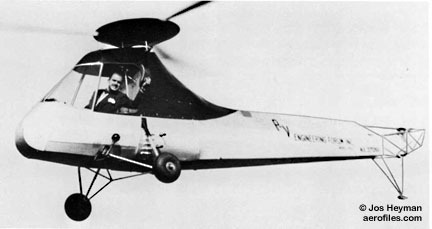 PA-2B c.1955 = Dual-fan lift vehicle, having two lateral fans enclosed in barrel shaped enclosures, mounted on the sides of the fuselage. Used the fuselage of the Platt-LePage XR-1A with two GE T-58s scheduled; v (est:) 260. Project only got to the mock-up stage. 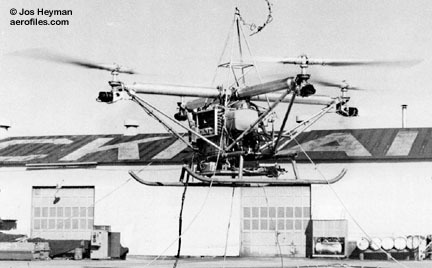 PA-4 Sea Bat 1958 - Unmanned helicopter designed for the USN as a weapons delivery system. Lycoming VO-435 driving four 12' rotors; length: 26'6"; ff (tethered): 10/25/58. Ultimately lost in an accident. PA-39 - This model designation covered a number of studies in the 1970s and 80s which sought to combine two or four helicopters (Sikorsky CH-53s or -54s) with a metal airframe as an extreme heavy-lift vehicle (c.60 tons) for the Army. 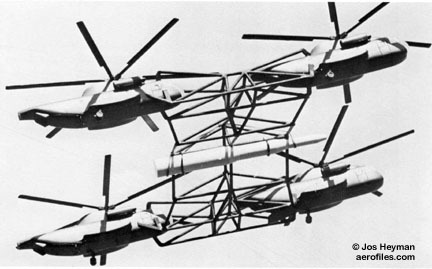 The projected Multiple Helicopter Heavy Lift System (MHHLS) did not result in any flying vehicles. PA-97 Helistat 1980 = USN contract for the Forest Service to demonstrate economic and ecological potential of heavy vertical airlifters in harvesting timber and other natural resources in difficult terrain. The demonstration vehicle utilized a Navy ZPG-2W blimp and four H-34J helicopters. Length: 343'0". PD-22 = USN version of YH-21. PV-1 1940 - Frank Piasecki and his P-V Forum's first design was to be a single-rotor helicopter with a fan-forced, anti-torque system blowing air through the tail cone, and turned by control vanes in the exit, predating the NOTAR* by several decades. PV-1 was not developed beyond the design stage due to high development risk at the early stage of helicopter design. *Acronym for "No Tail Rotor" technology whereby the tail rotor was replaced as anti-torque control by a swiveling exhaust duct at the end of a hollow tail boom. PV-2 1943 = 1pOH; 90hp Franklin; rotor: 25'0" v: 90/65/0; ff: 4/11/43the second US helicopter to be flown publicly. Elliot Daland. PV-3, HRP 1945 = 12pCH; 600hp P&W R-1340 mounted in the tail; rotors: 41'0" length: 48'0"; ff (prototype XHRP-X with Continental R-975) 3/7/45, (HRP-1): 8/15/47 (?>11/3/45). 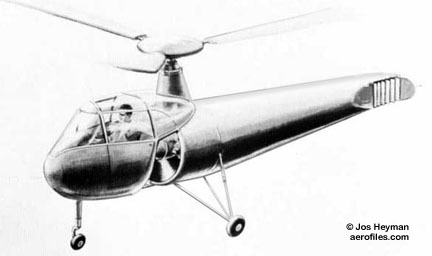 "Flying banana" design with fore and aft rotors, the first of its kind, initially flew as a bare metal frame and was covered later. POP: 2 as XHRP-1 [prototypes 37968/37969], the latter rejected by USN, and 20 as HRP-1 [111809/111828, 111834/111848]. Redesignated as PV-3. 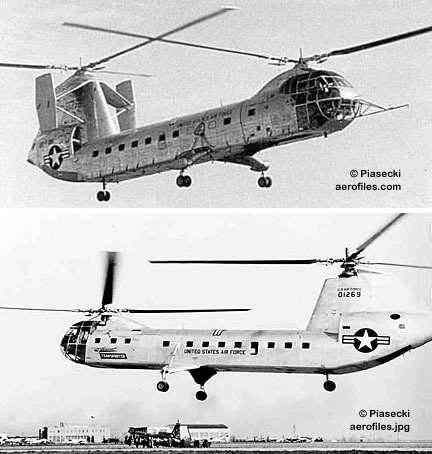 Produced by Boeing-Vertol in 1948 as upgraded, metal-clad HRP-2; length: 54'9"; ff: 3/6/46. POP: 5 [111829/111833]. PV-15 aka XR-16 1946 = Protoype for H-16. 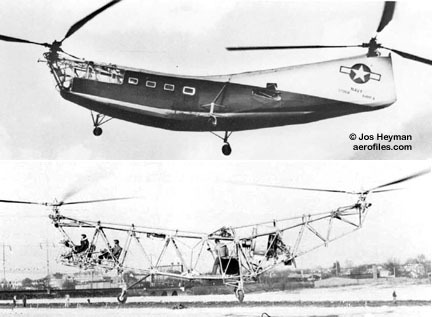 VZ-8, PA-59 - 1pO "flying Jeep" with 7'6" ducted horizontal tandem rotors. VZ-8P Airgeep I 1958 = US Army. Two 180hp Lycoming O-360-A2A; rotors: 7'6" length: 26'1" load: 500# v: 65/50/0 range: 25; ff: 9/22/58. Did not require ground effect and could travel on its three wheels as a ground vehicle. POP: 1 as PA-59K [58-5510], converted in 1961 to PA-59N SeaGeep with two 550hp AiResearch TPE331-6 and fitted with floats for testing by USN and USCG; ff: 11/8/61. VZ-8P Airgeep II 1962 = Canted fuselage frame, two 400hp Turbomèca Artouste IIC; rotors: 8'2" length: 24'5" load: 1060# v: 85/70/0 range: 35; ff: 2/15/62. POP: 1 as PA-59H [58-5511]. X-49A 19?? = Conversion of a Sikorsky YSH-60F with a lifting wing and a ring tail rotor to test Vectored Thrust Ducted Propeller (VTDP) technology. POP: 1. H B Picken Co, Hamilton OH. Helicon 1953 = 2pCH. Framework fuselage aft of fabric-covered cabin. (Bernard H) Pietenpol, Spring Valley MN. 192? = 1pOB with 50hp Gnôme rotary. 1923 = 1pOB with Ford Model T.
Air Camper 1933 = 2pOhwM; 40hp Ford A; span: 28'2" length: 17'8" load: 395# v: x/60-75/40; ff: 4/20/33. One of the best-known home-builts ever designed, the total population of which can only be imagined; prototype . One, built in 1934, was still active in Wisconsin in the late '80s, flying with its original fabric! Sky Scout 1931 = 2pOhwM; 40hp Ford T conversion; span: 27'3" length: 16'3" v: 62/50/35. Slightly smaller version than Air Camper; prototype . Popular home-builder project. 1830: Henry Pigeon Mast & Spar Co, Boston MA. 1900: Pigeon Hollow Spar Co, 131 Coleridge St, Boston. Company also built automobiles and gondolas for airships prior to their foray into the airplane field; was still active in watercraft to about 1979. 9, Scout aka Albree Scout 1917 = 1pOmwM; 100hp Gnôme rotary (also one Novus rotary); span: 37'11" length: 24'0". George Norman Albree (indicated as the purchaser, but was also working at Pigeon Co); aka Timson-Albree and Pigeon-Fraserdifferent names for very similar designs.Data are sketchy and unsubstantive. POP: 4, of which 3 for US Army, but were not accepted after testing at McCook Fieldone reportedly was a static test model, one crashed and burned in a test flight, one was put in storage by Pigeon Co, and info on the fourth is imprecise, but it could be Albree's plane. One was located and restored by Cole Palen at Old Rhinebeck NY. Photos verify the existence of four aircraft, with two of them identified as c/n 9 and s/n 117. Flying Boat aka (Reginald) Thomas-Pigeon 1919 = 1p flying boat, the fuselage of which was located and purchased by Cole Palen, and reported in 1994 at "Yanks Air Museum in Chino." No other data found. 1931: American Airplane & Engine Corp (Fairchild), Farmingdale NY. 1931: Acquired by General Aviation Mfg Corp.
100, 100-A aka American Pilgrim 1931 (ATC 443, 2-365) = 10pChwM; 575hp P&W Hornet B; span: 57'0" length: 38'1" load: 3388# v: 136/118/65 range: 400-500. Virginius Clark. Essentially a Fairchild product, descended from Fairchild 100. $28,750; POP: 16, all to American Airways. 100-B 1932 (ATC 470) = 10pChwM; 575hp Wright R-1820 Cyclone B; span: 57'0" length: 39'2" load: 3313# v: 135/118/65 range: 510. POP: 10, of which 6 to American Airways, and 4 to Army as Y1C-24. FC-2 c.1936 = 2pChwM; 220hp Wright. [NR6692]. KR-34 1931 (ATC 2-372) = 3pOB; 120hp General-Moore. 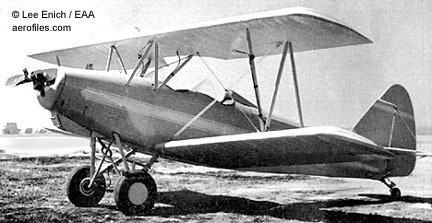 Modified Fairchild KR-34. POP: 1. KR-135 1931 (ATC 415) = 2pOB; 125hp Fairchild (Ranger) 6-390; span: 27'0" length: 21'6" load: 590# v: 116/93/51 range: 380. Based on Kreider-Reisner 21 series. POP: 3 [NC248V, X311H, NC963V], the second used as a test bed for Fairchild's 100hp experimental Ranger 6-375. Pioneer Aero Trades School Inc (pres: Storm Archer), 175 Broadway, New York NY. BS-2 1929 = 1pOB; 96hp Siemens-Halske; span: 20'0" length: 18'0". POP: 1 school project  c/n 2 (II), "used for advertising." License cancelled 2/20/30. American Aeronautical Corp, New York NY. c.1933 = 3pOBAm; 210hp Kinner. 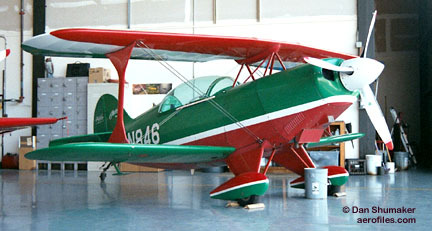 All-stainless-steel version of Savoia Marchetti S-56. POP: 1, exported to Italy [X749N]. 1980: Piper Advanced Technology Inc (fdr: Howard "Pug" Piper, son of William T Piper Sr), Wichita KS. PAT-1 Pugmobile 1981 = 4pClwM canard; 160hp Lycoming O-320; load: 1000#. Approach speed: 75. George Mead. Prototype [N15PT] crashed on 11/19/81, killing designer Mead and two passengers. William S Piper & E O Marriot, Los Angeles CA. 1964 = 1pOAg; 72hp McCulloch; rotor: 20'0" load: 225# v: 85/60/10 range 120. [N9195Z]. Bruce & Gilbert Pitt, Hales Corners WI. Yellow Jacket 1953 = 1pOlwM; 85hp Continental C-85; span: 14'0" length: 19'0" v: 150/130/60. Fuselage framed with tubing from a surplus PT-23 and a Porterfield, wings from 1948 Anderson Special; ff: 8/8/53. POP: 1. John W Pitts and W P Kindree, Detroit MI. Pitts Sky Car film clips. Didn't fly but it sure cleared the area of debris. Sky Car 1928 = 1pOH; 90hp Curtiss OX-5. The best thing that could be said about this machine is that it was a nice try. It appears to be the first helicopter with vibration designed into it (US patent #1,602,778). Each blade of the 60-blade rotor had a full-radius vane attached to it that was free to flap about its radial hinge. Rotation caused the drooping vanes to swing out, closing the space between blades and forming a solid rotor disk, the point being that the rotor was forced by the engine to reciprocate up and down. When the rotor went up the vanes were flung open, allowing the air to pass between the blades; when it then moved downwards, the vanes closed and a good portion of air was thrown downwards, thus supposedly creating a lifting force. Motion pictures recorded a flight attempt in which it is seen pathetically jumping up and down like an irate washing machine, but it is dubious if this was caused by downwashafter all, when one heavy part of a machine is forced down some other part must go up, according to the laws of mechanics. 1945: Curtis Pitts, Jacksonville FL. 1945: Pitts Aero Service, Gainesville FL. 1955: Homestead FL. 1967: Pitts Aviation, Homestead. 1969: Pitts Aviation Enterprises, Afton WY. c.1980: Pitts Aerobatics (pres: E H Anderson), Afton. 19?? 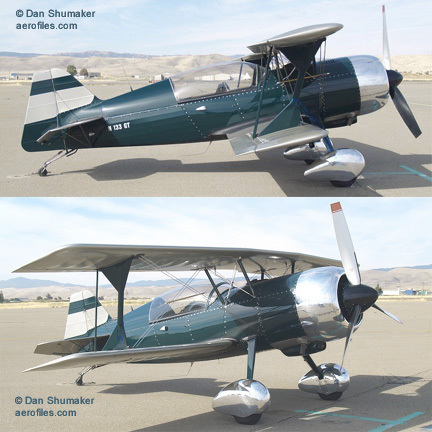 : Aviat Inc.
12, 12HP Macho Stinker 1996 = 2p aerobatic biplane that Pitts designed for the 360hp or 400hp Vendeneyev M-14P radial; span: (upper) 23'0" (lower) 22'0" length: 20'6" load: 700# v: 235/175/64 range: 520. Marketed by Jim Kimball Enterprises in Zellwood FL in kit and component form. 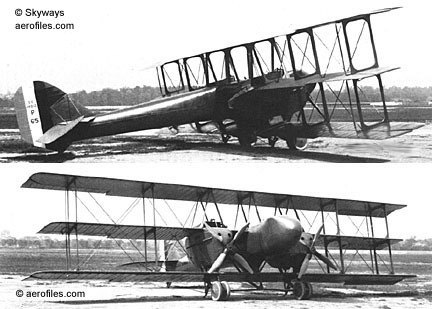 The Kimballs made their own modifications to Model 12, which was known as the HP performance version (span (upper) 22'0" (lower) 21'0" length: 19'8" load: 775#), also announced a single-wing derivative of the design. 13 - High-wing coupe-type that never went beyond the concept stage. 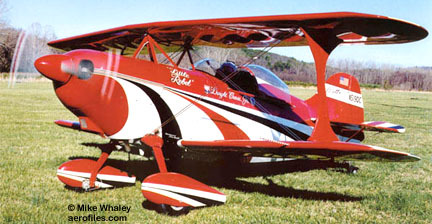 14 2002 = Aerobatic 2pOB design from Pitts was in construction at Steen Aero Lab. 400hp Vendenyev M14; span: (upper) 21'6" (lower) 20'6" empty wt (est): 1500# gross wt (est): 2250# v (est): 190/180/57). Curtis Pitts, at age 90, was actively involved in its construction. Pellet 1948 = 1pClwM; 85hp Continental C-85; span: 17'7". Originally had a spring-steel gear which was replaced by an oleo gear from a Waco F. Midget racer [NX52120] (p: Bob Heisel, Phil Quigley); destroyed in the 1949 San Diego race. Replica built in 1985. S1 - The S-1 series began with the Pitts Special that did more than any other single aircraft to revolutionize the field of competitive aerobatics in the world. There was no S1-A or -B, and all S1s were single-seat biplanes. S1 Special 1945 = 1pOB; 55hp Lycoming; span: 20'0" length: 18'3". Curtis Pitts; ff: 9/x/44. First of a popular line of home-builts actually began in 1942, but WW2 put operations on hold. Repowered with 90hp Franklin and sold to a cropduster, who reportedly was so hard of hearing that one time he didn't hear the motor quit and crashedno injury, but the plane was a wash-out. A second Special, with 85hp Continental C-85, went to aerobat Betty Skelton in 1947 as Li'l Stinker [NX86401=N22E] (still active in 1975, displayed at NASM 2001). 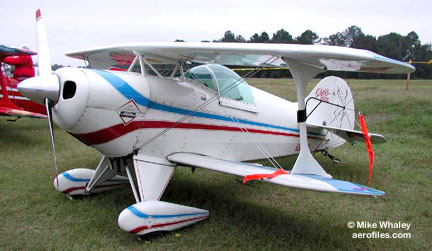 Subsequent models were used by the US Aerobatic Team to capture international championships from 1969-72, and the line continued with 2p versions and motors up to 200hp. S1-C aka Flatwing 1960 = Semi-symmetrical airfoil and lower-wing ailerons; Continental O-200. The first S1-C was Pat Ledford's [N8L] and the plans were drawn up as it was constructed. They were redrawn in the '90s by Steen Aero Lab, incorporating many minor changes, the largest of which was the inclusion of the slightly-longer S1-S fuselage. S1-D 19?? = S1-C with added upper-wing ailerons; 180hp Lycoming IO-360B; span: 17'5" length: 15'6" load: 425# v: 145/135/64 range: 230 ceiling: 22,000'. Kits and plans marketed to home-builders. S1-E 19?? 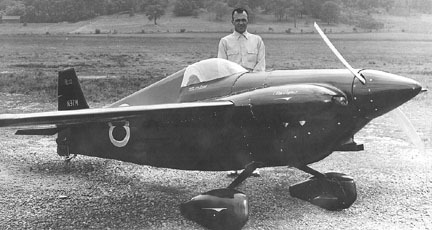 = An experimental, home-built version of S1-S, with some crossover in names and parts provided by the factory between the -S and -Ean unknown number of S1-E became certified S1-S. POP: about 100 kits sold. S1-S aka Roundwing 1973 (Afton) = S1-D with two different symmetrical airfoils on the upper and lower wings with four ailerons. S1-S production continued until 1981, when its plans were released for home-builders. Any home-built S1-S predating 1981 was not a true S1-Ss. S1-SS aka Super Stinker Pitts Special 19?? 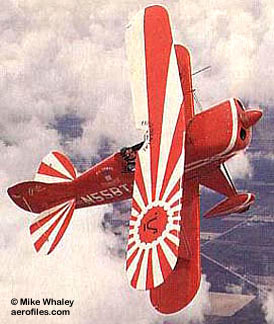 = Used an airfoil and aileron setup derived from the S-1-11/-11B "Super Stinker" aircraft, which was not a Pitts Special nor was it an S1, but a new design meant for world championship aerobatic competition. S1-SS was offered by Steen Aero Lab since the '90s as supplemental wing plans to fit onto any S1 fuselage. 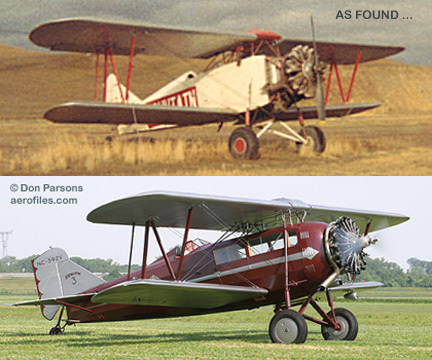 S1-T 1981 (Afton) = A certified version that superseded the S1-S; 200hp engine, constant-speed prop, new aileron design. S2 - These were the two-seat Pitts Specials. S2-A 19?? = Aerobatic 2pOB; 200hp Lycoming IO-360A; span: 20'0" length: 17'9" load: 540# v: 155/139/62 range: 195 ceiling: 22,000'. S2-B 19?? = No data found. S2-C 19?? = No data found. S2-E 19?? = No data found. S2-S 19?? = Not a Pitts product, but a 1p experimental home-built rarity. Samson 1948 = 1pOB; 450hp P&W R-985 Wasp; span: 24'0" length: 20'6". POP: 1 [N52137], for aerobatic pilot Jess Bristow; destroyed by fire in crash-landing after a mid-air collision c.1950 (p: Buddy Rogers, uninjured). Special 1947 = 1pCmwM; 85hp Continental C-85. POP: 2 midget racers, [N97M] Miss Dayton and [N1961M] Li'l Monster.